PT Petrosea Tbk is a multi-disciplinary mining, infrastructure and oil & gas services Company with a track record of achievement in Indonesia since 1972. We offer a competitive advantage through our ability to provide complete pit-to-port mining solutions, integrated engineering and construction capabilities as well as logistic support, whilst demonstrating absolute commitment to health, safety & environment, quality management, and business integrity. 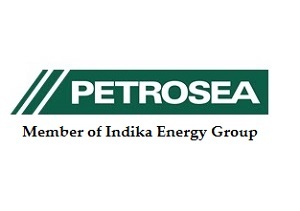 Petrosea is supported by its main shareholder, PT Indika Energy Tbk, an integrated Indonesian energy company, providing its customers with integrated energy solutions through its complementary investments in the areas of energy resources, energy services and energy infrastructure. Running safe working practices in any work activity. Warehouse function accordance with requirements of company procedures and requirements of agreed contracts between POSB and Customers/ Clients. Communicate well with colleagues and superiors as well as having a clear and precise understanding of each role and functions of subordinates before giving work instructions. Responsible for supervises and coordinates all activities with personnel and equipment engaged in erecting and operating machines used to hoist, lift, convey and move any equipment or material. Including maintains and upkeeps all maintenance and certification records on all lifting machinery and equipment. Must have skill and knowledge in rigging works. Possess appropriate and valid Rigging Certification from Migas. Minimum 2 years experiences in heavy equipment movement, loading / unloading materials, offload / backload materials from / to vessel. Proven experience as supervisor in rigging and lifting area or relevant. Familiarity with company policies and legal guidelines of the field. Understands mechanical availability and planning of repairs. Understands POSB & Asset requirements and production targets. Diploma/Certificate in first line management or relevant field. OPITO LCP Assessment or EAL Certificate of Competency Level 2 A+B+C or ECITB Level 3 Moving Loads or CPCS appointed Person (onshore Crane Operations). Responsible for maintain tidiness, cleanliness of the work place (housekeeping). Conducting pre-start briefing before carrying out the work. Ensuring and preparation hazard analysis (JHA) for each activity to be undertaken. Report any accidents that occur in the work places. Provides direction/ guidance to colleagues in carrying out work activities. Identify and quarantine from services immediately any rigging gear and lifting equipment which are unsafe, damaged or defective. Ensure work equipment is stored, is composed and well organized in their respective places. Ensure lifting gear and lifting equipment available, stored in place according to each area. Provide, prepare for lifting gear and lifting equipment requested by operation leader/ team in the field. Control in or out of lifting gear and lifting equipment, other supporting equipment/ tool and materials that are in the warehouse. Controlling/ monitoring the lifting gear and lifting equipment include CCU using by Customer/ Clients. Verify inventory computations by comparing lifting gear and lifting equipment to physical count of stock and investigate discrepancies or adjust errors. Ensure that cargo both onshore and offshore is stowed and secured correctly. Develop, execute, monitor and review all environmental issue in company’s project locations to ensure that all company’s operation are harmless and harmonious with the environment conform with company’s HSE policies, government environmental regulation and client requirements. Develop, implement and maintain an Environmental Management Plan (EMP) for company’s sites in order to meet the requirements of ISO 14001 Environmental Management System for the company, client and regulatory authorities. Conduct and review monthly internal audits in term of procedure applied for both internal and subcontractors, as well as support quarterly audit to establish the compliance position of the site against statutory requirements and the EMS. Maintain and review EMP & EMS as necessary on a regular basis to ensure the effectiveness for the operation and meets changing requirements. Develop and implement procedures for site’s environmental management in order to establish standard work instruction for each division in term of environmental management. Promote level of environmental awareness among the workforce, contractors and suppliers by provide training to ensure the awareness of their environmental responsibility and comply with Company’s HSE policies. Support Environmental performance and maintain third party accreditation (i.e. ISO 14001) and work effectively with certification body in order to preserve international standard accreditation. Prepare and submit statutory and internal reports required by company and/or clients as a reference for determine their next operation plan in term of environmental issue. Provide support and assistance to project staff in term of EMS implementation to ensure all complaint, incident investigation and reporting requirements are meet so that problems recognized and resolved. Performing a strong visible commitment in to HSE Management System as well as all programs. Ensure no harm to people, no property damage, no environmental pollution at all activity within the area of responsibility. Familiar with risk assessment, hazard analysis and mitigation process such as Risk Assessment, Job Safety Analysis, etc. Must have excellent communication in English and Bahasa both spoken and written. Calculate the load and produce the full lifting plan to guide Lifting crew to execute the Critical Lifting work. As single contact person on the Base who has full skill for Lifting. Prepare SOP and WI of all the lifting work on the Base. Observation of Rigging and lifting gear required by the operation team in carrying out lifting activities. Must have god communication in English and BAHASA both spoken and written. Provide efficient secretarial and administration assistance to project in order to support project with administrative matters and participate in contribute the success of project function. Develop and maintain hard copy and electronic filing system as well as document confidentiality to provide administration support in accordance with Petrosea procedures. Organize and manage meetings or project events and take minutes at those meetings to ensure meeting efficiency. Prepare correspondence, reports, and materials for publications / reports and presentations to ensure all publications / reports and presentations materials are complete and ready to use. Organize and schedule arrangements for manager, including air travel and expences claim reimbursment to provide secretarial assistance. Present general clerical duties to include but not limited to: photocopying, faxing, mailing and maintain stationary supply in order to provide administration assistance. Monitor and maintain office area in order to keep office area clean and tidy. Perform other duties as per request to support and assist Project Manager in administration matters. Min. Diploma degree (preferable in Administration / Secretary). Min. 2 year experience in secretarial duties. Willing to work extend hours due to project requirements. Send your detailed resume including recent photograph and quoting in email to recruitment.POSB@petrosea.com and cc to: recruitment.jakarta@petrosea.com in Microsoft Word or PDF format with a file size not more than 350kb, not later than 21 August 2017. Thanks for reading PT Petrosea Tbk Jobs: 4 Positions. Please share...!